When toddlers begin to develop fine motor control over their fingers and hands, they can be introduced to simple crafts. These activities, even if they just involve just picking up and pasting pieces of paper, can aid in honing creativity and mental development in toddlers. I find that toddlers are very enthusiastic about crafting. They love everything from the materials, to the process, and proudly displaying their finished work. You can find hundreds of ideas online for whatever suits you (my Fun things to make & do board on Pinterest is a great place to start!). I started crafting with Little Dude when he was two, and we haven't looked back. It has become our time - special projects we do together. Don't expect the same result you saw in the tutorial. Give your child the freedom to create and interpret what materials you give him or her. You can provide guidance, but they will want to do things their way and that's okay. Perhaps they can do one craft your way, and another one how they like. Don't expect the messes to be limited. If you use glitter, or cut paper, it's going to end up everywhere. Try to set up a space where your toddler has the freedom to be messy and not contained. Be creative. We live in an apartment, so I make the most use of my balcony, and we usually do crafts on a play mat instead of a table. Ages mentioned in craft tutorials are only suggestive. A few toddler crafts I have shared on this blog required lots of help from me. In fact, I always mention when something is more suitable for older children, but I just want to share the craft idea. You are the best judge of what craft is suitable for your child. When teaching a new technique like using sticky paper, or a new skill like using scissors, always get down to their level and give a demo. 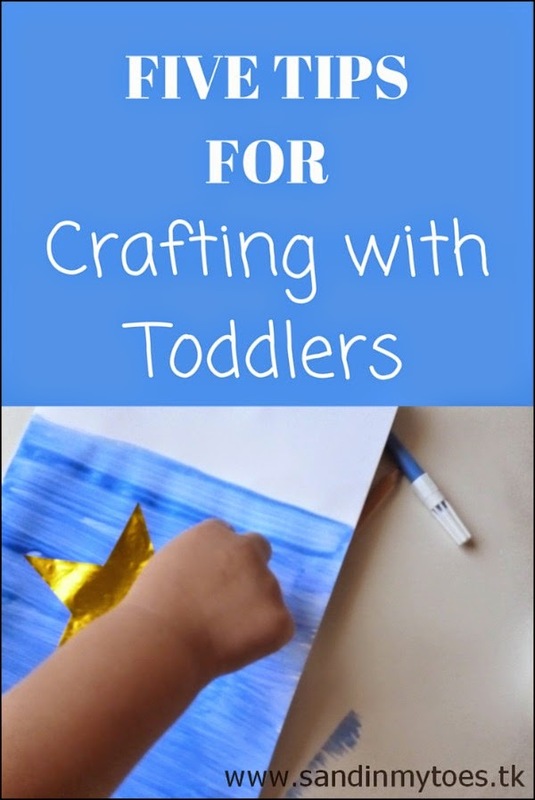 It also makes sense to do the craft side-by-side with your toddler which will make them feel more involved and interested in it. Even if your child no longer swallows small things, don't take chances. Many parents are surprised when their child suddenly decides to swallow a bead or eat chalk. Toddlers are curious and you need to always watch them around potential choking hazards. It's definitely better outside if the weather's nice! Thank you for the tips. My son doesn't put a lot of things in his mouth but I stay close when he is using pom poms or other small things. Yes, with kids, you never know! 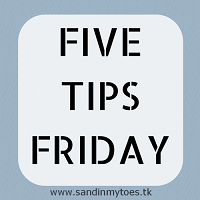 Awesome tips my youngest is 3 and she is quite the little crafter and artist. Like all of the tips, we seem to spend so much time just talking when we do projects. It is a such a good time for all doing projects inside and out. It's such a good thing when the weather's on your side! Great tips! I really appreciate when other moms advocate letting kids be messy!!! Lots of great tips. I always like to make sure I am prepared. I'm all for messy play! So glad you liked these tips, Sherry! With kids that age, it is important to let them learn hands on and just have the freedom to create what they want to.